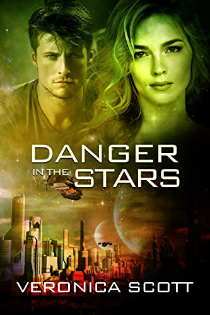 In Wreck of the Nebula Dream by Veronica Scott, Special Forces Captain Nick Jameson messed up his last mission and is seen as a kind of a burn-out by his commanders. He boards the luxury spaceship Nebula Dream, not so interested in the ambition of the crew to break space travel speed records. He just wants to get home and even considers going into stasis for the trip. Nick suspects problems with the ship that are confirmed when the liner crashes in enemy territory. Too few lifeboat pods leave 8,000 passengers stranded. Can Nick and his small band of two children, a socialite, a contracts expert and a mercenary survive and make it home? Wreck of the Nebula Dream is a re-imagining of the Titanic disaster in future space.